Welcome to our team fundraising page! We are thrilled to be parterning with Make-A-Wish® Central & Western North Carolina again this year for our second annual Symmetry Challenge. Make-A-Wish® grants the wishes of children with life-threatening medical conditions to enrich the human experience with hope, strength and joy. Make-A-Wish® granted more than 15,300 wishes last year alone – each one a life-affirming testament to hope, inspiration, and resilience. Wishes strengthen wish kids and their families, rally communities together, and change the lives of everyone involved. 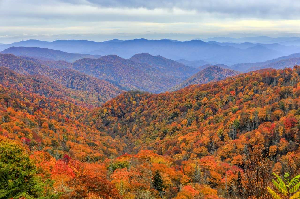 On November 8, 2018 (the day following the 2018 Leadership Workshop), we will come together in the beautiful mountains of Western North Carolina for the Symmetry Challenge at Camp Rockmont in nearby Black Mountain, NC. Each participant who raises a minimum of $300 will have the opportunity (but is not required) to join in an individual 5K race around the lake and may be selected to join in on the Dodgeball team event. Dodgeball teams will be selected by the Symmetry Directs (110s) from a pool of individuals in their organization raising at least $300 by October 25th. Teams will be selected two weeks prior to the event. Direct organizations will need to have raised a total of $3000 to qualify to have a team. Spouses/partners are encouraged to participate but each individual must register separately and raise their own $300. However, you may share a fundraising page with your partner/spouse-just be sure to make your total $600 to cover both of you. Raising a minimum of $300 will get you the following: 1 5k Race entry, 1 Symmetry Challenge shirt, 1 Symmetry Challenge pint glass, 2 food tickets, 2 drink tickets and eligibility for team dodgeball (upon selection). All proceeds will go directly to The Make-A-Wish Foundation. Click the “Join My Team” button at the top to create your own personal fundraising page to send to friends, family, and/or upload to social media. Not only does Symmetry want to raise $100,000 for Make-a-Wish, we also want to raise awareness for this amazing organization and the vital support they offer to families around the country. Together we can share the power of a wish so join us for a great day in the mountains of Western North Carolina! If you have any questions, please email Whit Zeh at wzeh@sfglife.com. The Guy that gets to throw the dodgeball! "60% of the time it works Every Time"
Rain Chandra- Happy Birthday Lilyan!!! !